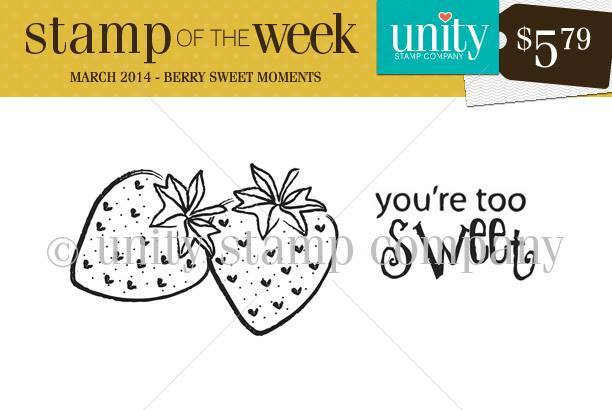 There is a brand new Stamp of the Week at Unity called "Berry Sweet Moments"! Make sure you check out all the amazing cards the Unity design team created with this one stamp... all of them are showcased on this post at the Unity blog. 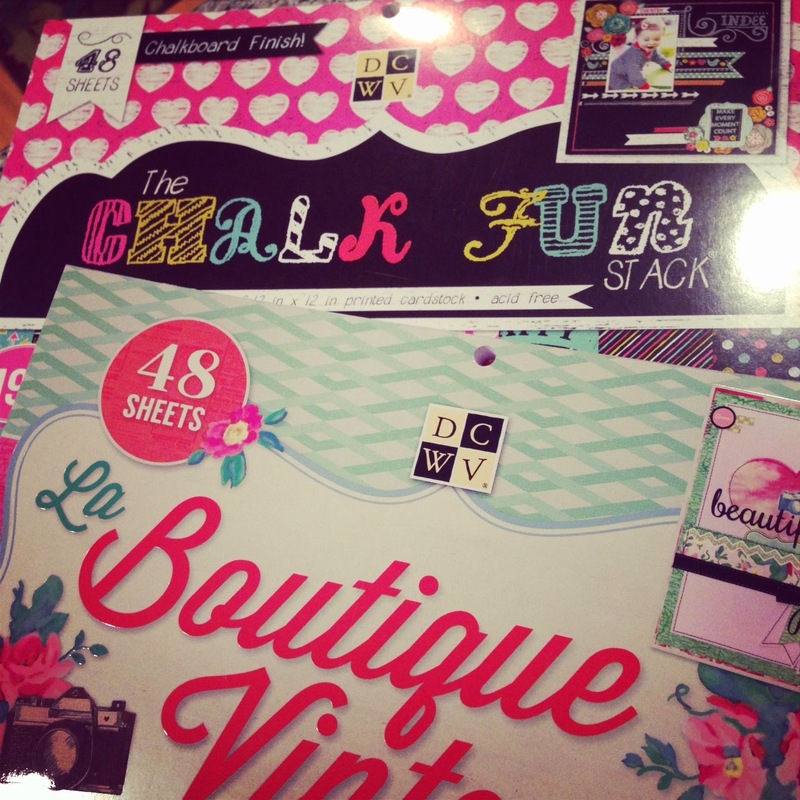 To sign up for the Stamp of the Week, a new stamp in your mailbox every single week (! ), click here! For my card, the strawberries were colored with Copic markers and a subtle glitter pen was drawn over the leaves. All the beautiful paper for this card is from the brand new "Chalk Fun" stack by DCWV found exclusively at Hobby Lobby stores! Next I have a strawberry themed tag. I think the sentiment makes this tag perfect for a little 'thank you' gift to a friend. 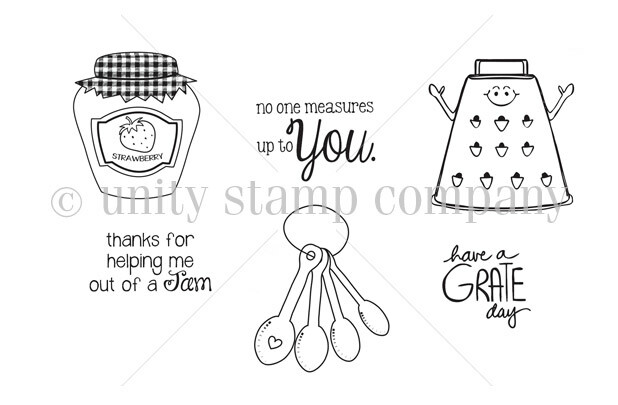 The tag uses the same papers from DCWV "Chalk Fun", and a cute stamp set from Unity called "Pun in the Kitchen"... which is 50% off during the Unity sale right now! !